India is a Sovereign Socialist Secular Democratic Republic with a Parliamentary System of Government. The Republic is governed in terms of the Constitution. 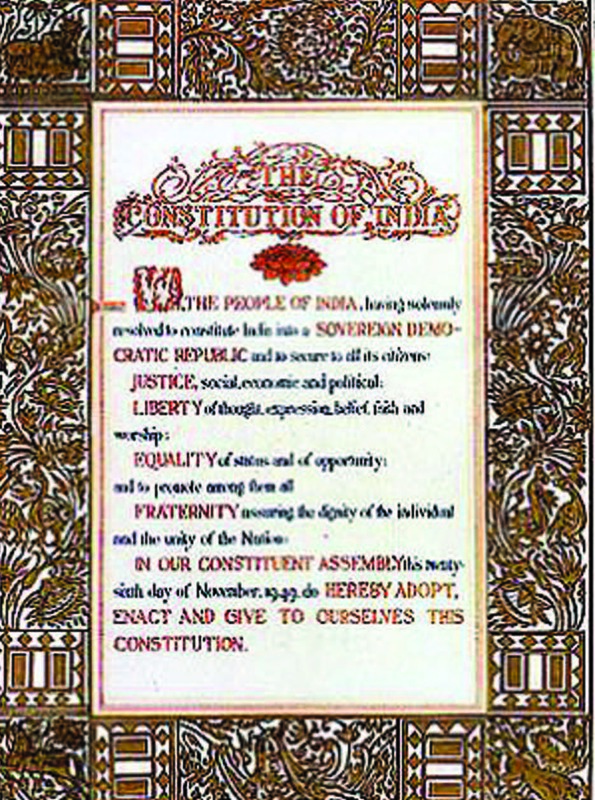 The Constitution of India lays down the framework defining fundamental political principles, establishes the structure, procedures, powers and duties of government institutions and sets out fundamental rights, directive principles and the duties of citizens. It is the supreme law of India. All our laws derive their authority and force from the Constitution and the Constitution derives its authority from the people. Indian constitution is one of the important topic for most of the competitive examinations. Thorough knowledge in this topic will help us to score more marks in these examinations. Some of the important mcqs which are frequently asked in various examinations are provided below. Please go through the questions and refresh your memory.